Attorney Lawler will help you protect your assets and your dignity by drafting Wills, Living Wills and Powers of Attorney. If you do not provide instruction for the disbursement of your assets, there may be unnecessary costs in settling you estate. A will or trust will protect your assets. 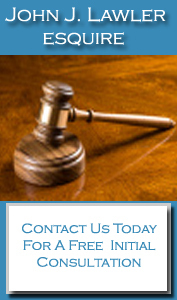 Attorney Lawler will work with your named Personal Representative in the administration of your Estate. A Living Will or Power of Attorney will ensure that your wishes will be properly carried out in the unfortunate event that medical decisions will have to be made on your behalf. If you or a loved one have been injured due to a motor vehicle accident, medical malpractice, wrongful death, slip and fall or a defective product, contact Attorney Lawler to make ensure you get the compensation you deserve.